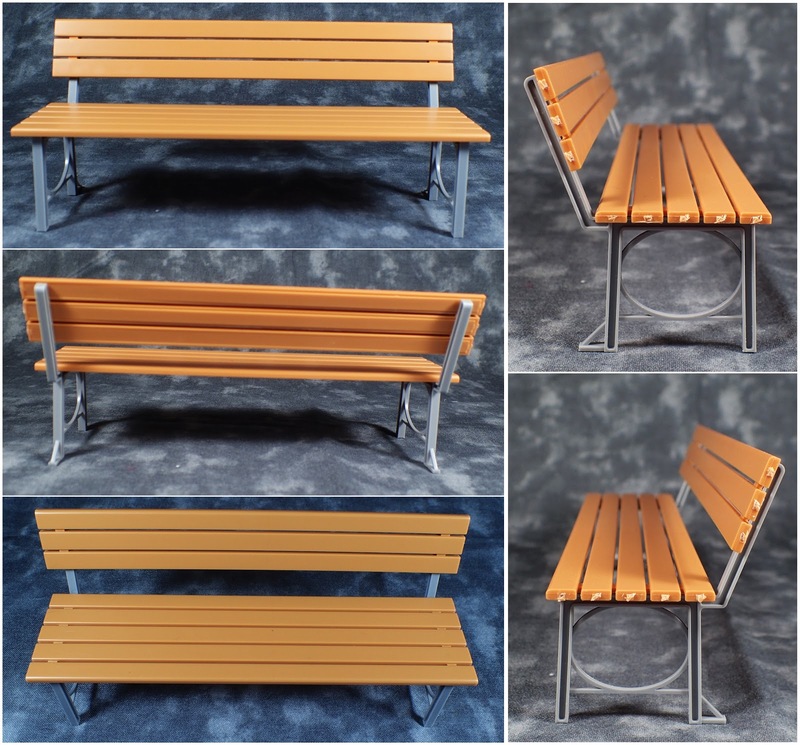 Another accessory set but this time a cool bench to sit outside the cafe and I might use the trash can as a post box instead. This is another self assembly kit but this time no stickers as its a pretty basic design. The bench is nice and I think it works fine as is. 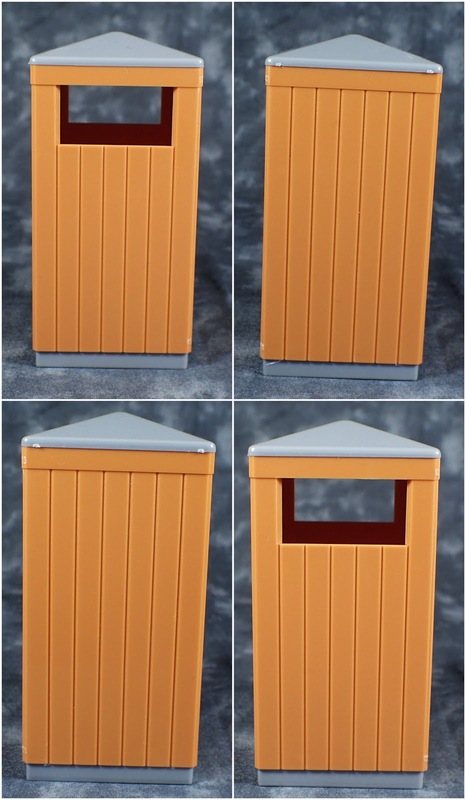 The trash can is also good looking but like I said I might make a little sign and turn it into a post box as that will prob be more useful for comics. 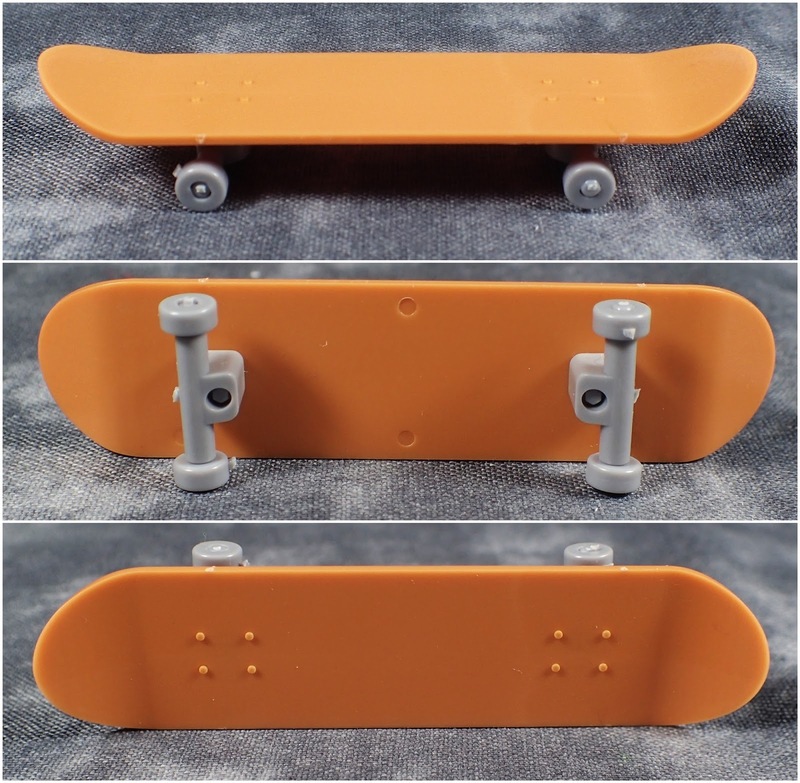 Then there is a skateboard that requires paint to make it look like the box art but I prob won't end up using this prop as I am going to attempt to track down those figma skateboard accessories when in Japan. I think this set is a better set to get if you want something that's pretty much ready to go after assembly.